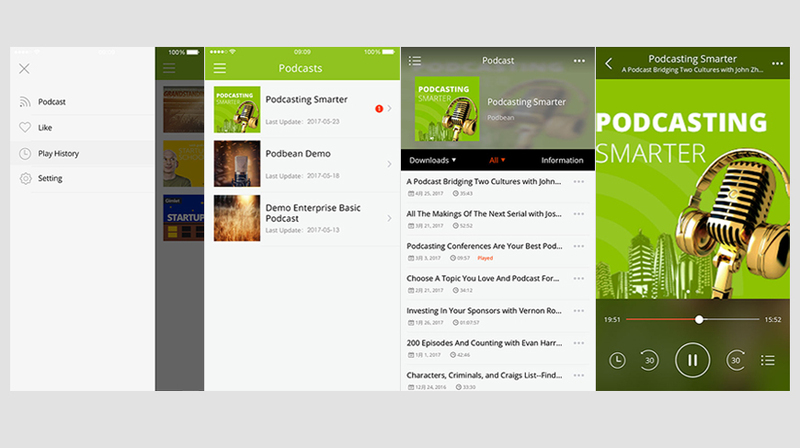 Your audience can enjoy your podcast through your iOS app with your own brand. Only Podbean Business Pro users are eligible for a your brand app. *Some features may vary based on different devices. To view demo app, please click here. To view Your Brand Android App, please click here. 1.Get Your Brand iOS App: Go to the "Dashboard"-->"Add account options" to enable the Your Brand iOS App feature. 2. Manage Your Brand Apps: Navigate to "Dashboard"-->"Your Brand Apps". Click on the “settings” icon and follow the instruction to setup your app. You may also enable the "Publish Podcast App for you in your iTunes Connect account" option, if you want our tech team to publish the app for you. Only Podbean Business Pro Plan users are eligible for 'White Label iOS App'.